You have 10 DAYS IN AFRICAâ„¢ â€“ touring by plane, car, and on foot. Chart your course from start to finish using destination and transportation tiles. With a little luck and clever planning, you just might outwit your fellow travelers. The first traveler to make connections for a ten day journey wins the game. An easy game to learn and to play. 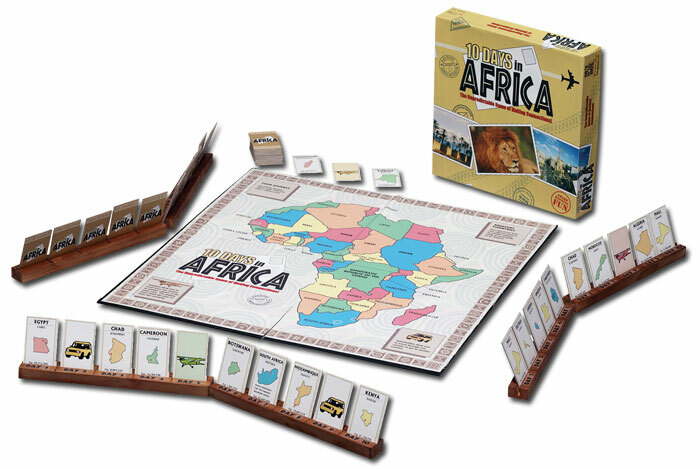 It also is a good way to help kids familiarize themselves with the geography of Africa. This game added multiple tiles for a single location to the 10 Days series.